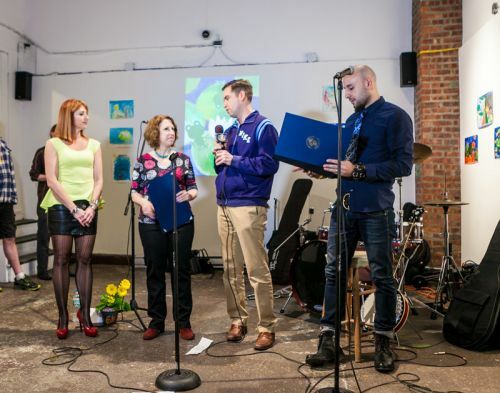 April 26, 2014 marked the 1st Save The Frogs Day event in Jersey City. 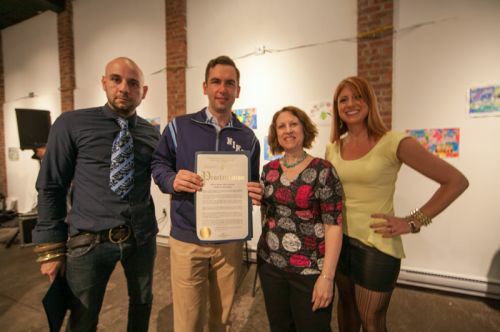 Thank you to Mayor Steven Fulop of Jersey City for attending, commending Susan Newman (founder of Frogs Are Green), Kristin DeAngelis and Gabriel Pacheco (curators and instructors at The Distillery Gallery and Artspace) for the Green Dream International Children’s Earth Day Exhibition with a proclamation. 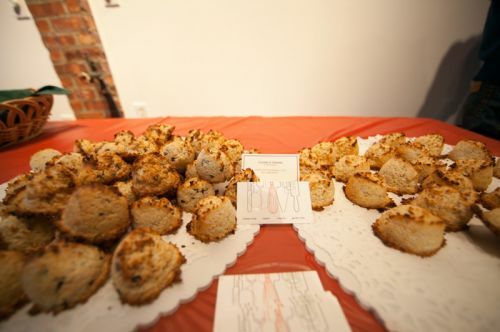 This event was so amazing and there are so many people to thank: Chef Camillo Sabella, for his dreamy (vegan, organic, gluten-free, kosher style) macaroons that disappeared quickly; Danny Chong of Custom Photo Shoot for this incredible gallery of images and capturing the scene; The Sensational Country Blues Wonders who played at the opening on Earth Day (Gary Van Miert and Malcolm Marsden); The Gully Hubbards (Dave Case, Carolyn Light, James Dower and Andy Sapko) who played on Save The Frogs Day; Michelle Luebke (Instructor at CUNY) and Laura Skolar (Jersey City Parks Coalition) for speaking on the environment and the importance of frogs to our ecosystem; JC1TV for covering the event, which we hope to see air on TV soon; The Distillery Gallery and Artspace curators, Kristin DeAngelis and Gabriel Pacheco for their guidance helping me create a successful, month long exhibition that has enlightened so many in the surrounding community and globally around the world on this issue; Our eco-friendly and supportive corporate sponsor, Oogaa; my Ambassadors, JoAnn Forrester and John Crittenden for helping spread the word; Maryanne Kelleher and Greg Brickey for the sound; Christine T. Wiltanger and Lynn Franks , who became advocates; the supporters to our Indiegogo campaign; And lastly, all the visitors that streamed in to the gallery on the weekends and at the gala events! 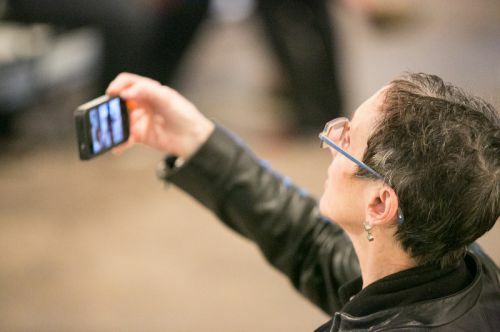 I am including a few more images at the end of this gallery of the Opening Reception on Earth Day, April 22, 2014 also photographed by Danny Chong. 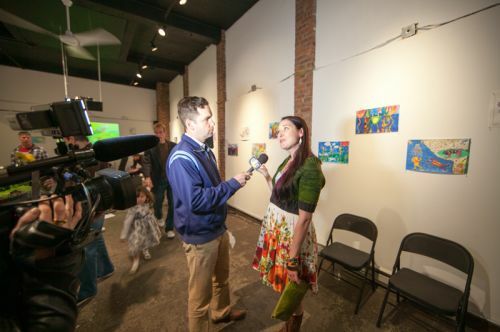 Susan Newman, founder of Frogs Are Green being interviewed by a JC1TV reporter at the Green Dream - Save The Frogs Day event, The Distillery Gallery in Jersey City. Photo by Danny Chong. 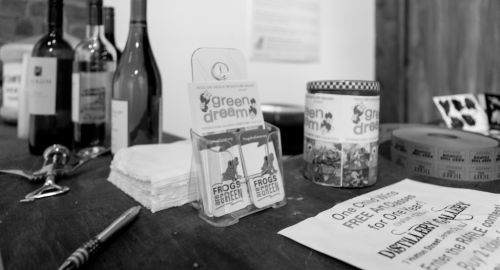 Green Dream postcards are paired with seed packets as a giveaway to children who attended the event at The Distillery Gallery. 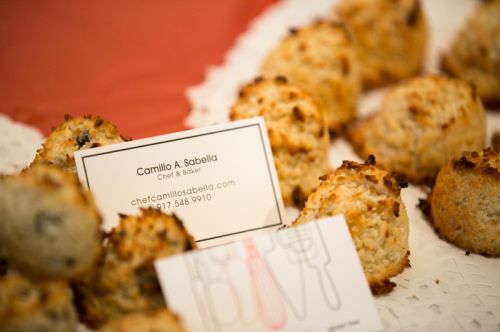 Chef Camillo Sabella's macaroons at Green Dream's Save the Frogs Day event in Jersey City - Photo by Danny Chong. 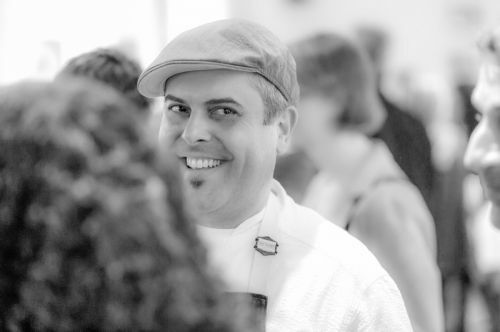 Chef Camillo Sabella at Green Dream's Save the Frogs Day event in Jersey City - Photo by Danny Chong. 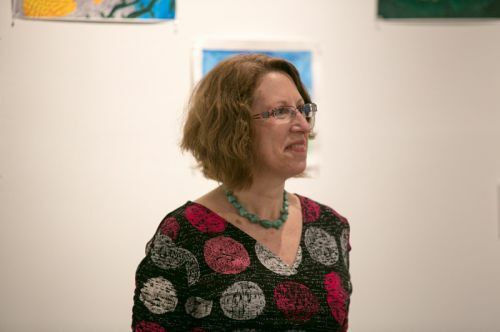 Michelle Luebke, environmentalist and instructor at CUNY, guest speaker at the Green Dream - Save The Frogs Day event, The Distillery Gallery in Jersey City. Photo by Danny Chong. 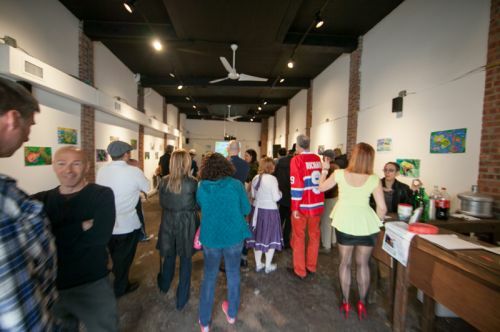 Crowd at Green Dream's Save the Frogs Day event in Jersey City at The Distillery Gallery - Photo by Danny Chong. 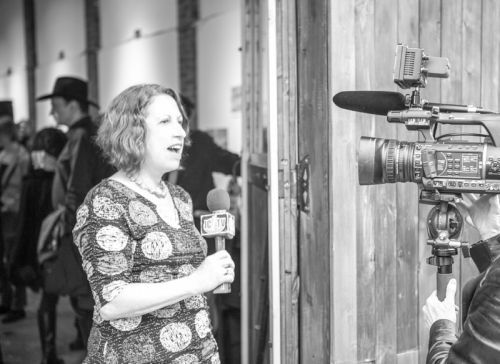 Susan Newman, founder of Frogs Are Green being interviewed by JC1TV at the Green Dream - Save The Frogs Day event, The Distillery Gallery in Jersey City. Photo by Danny Chong. 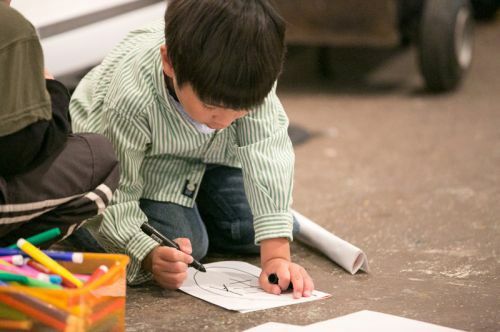 Child drawing during Green Dream's Save the Frogs Day event at The Distillery Gallery in Jersey City. 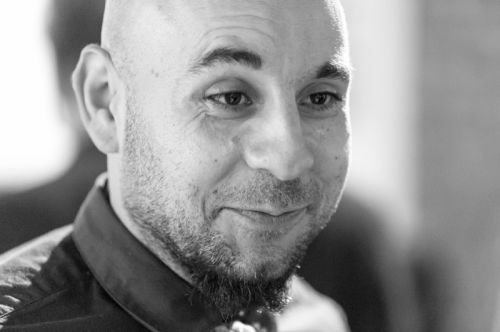 Photo by Danny Chong. 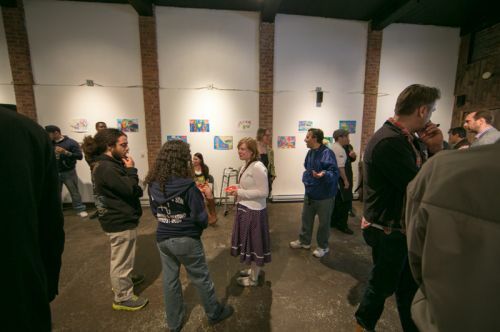 Crowded gathering at Green Dream's Save the Frogs Day event at The Distillery Gallery in Jersey City. Hosted by Frogs Are Green.Photo by Danny Chong. 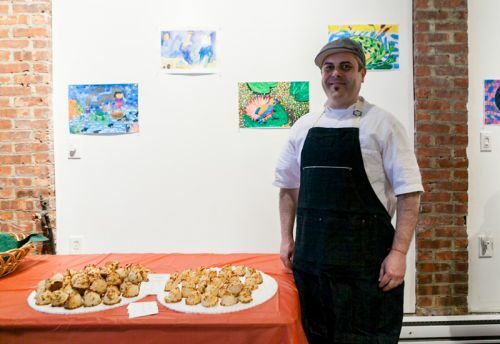 Chef Camillo Sabella at Green Dream's Save the Frogs Day event at The Distillery Gallery in Jersey City - Photo by Danny Chong. 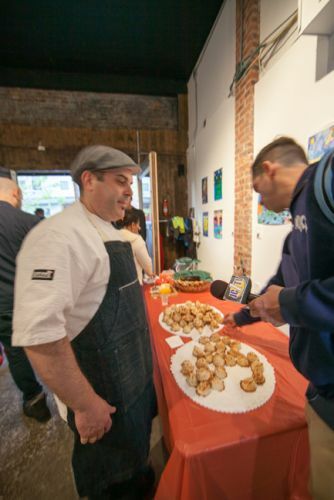 Mayor Steven Fulop samples Chef Camillo Sabella's macaroons at Green Dream's Save the Frogs Day event in Jersey City - Photo by Danny Chong. 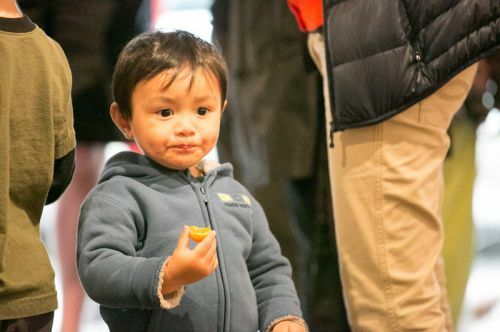 Child enjoying Green Dream's Save the Frogs Day event at The Distillery Gallery in Jersey City. Photo by Danny Chong. 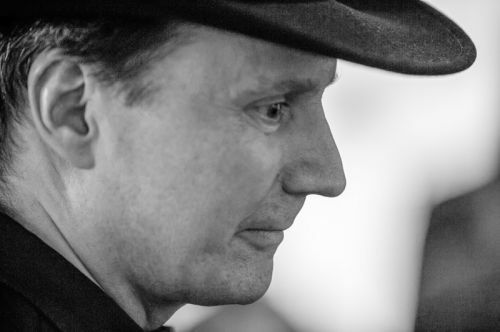 Gary Van Miert (Sensational Country Blues Wonders) at The Distillery Gallery for Frogs Are Green's Green Dream - Save the Frogs Day event in Jersey City. Photo by Danny Chong. 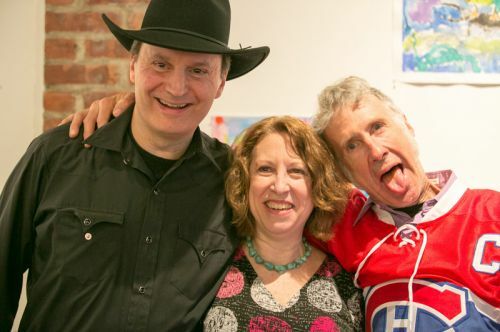 Gary Van Miert (Sensational Country Blues Wonders), Susan Newman (Founder of Frogs Are Green and Host), and Dave Case (Gully Hubbards) at The Distillery Gallery for the Green Dream - Save the Frogs Day event in Jersey City. Photo by Danny Chong. 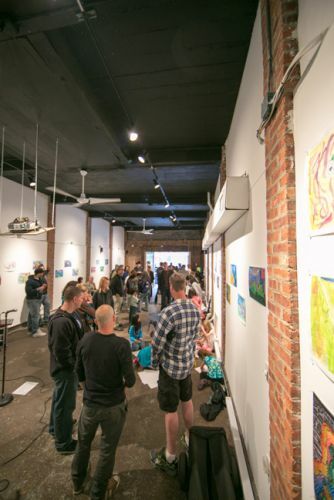 Crowd at Green Dream's Save the Frogs Day event at The Distillery Gallery in Jersey City. Photo by Danny Chong. 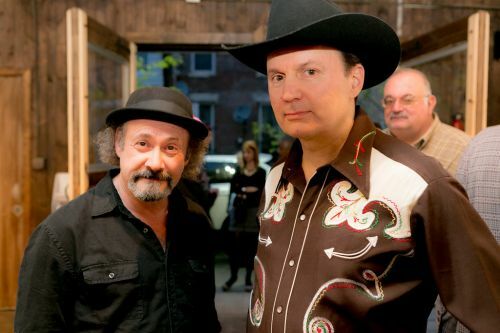 Gary Van Miert (Sensational Country Blues Wonders), Dave Case (Gully Hubbards) and a friend at The Distillery Gallery for Frogs Are Green's Green Dream - Save the Frogs Day event in Jersey City. Photo by Danny Chong. 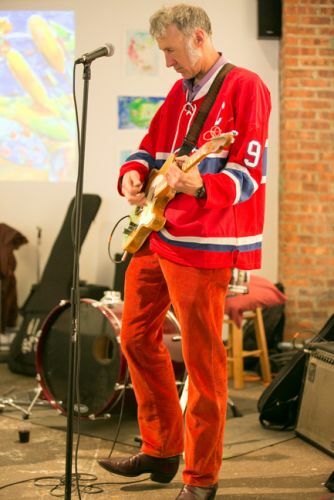 Dave Case of The Gully Hubbards at Frogs Are Green's Green Dream - Save the Frogs Day event at The Distillery Gallery in Jersey City. Photo by Danny Chong. 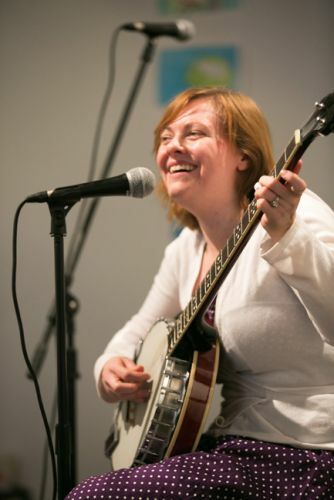 Carolyn Light plays with The Gully Hubbards at Green Dream's Save the Frogs Day event in Jersey City - Photo by Danny Chong. 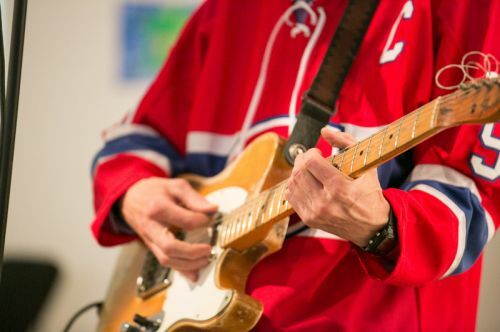 Dave Case playing guitar with The Gully Hubbards at Frogs Are Green's Green Dream - Save the Frogs Day event at The Distillery Gallery in Jersey City. Photo by Danny Chong. 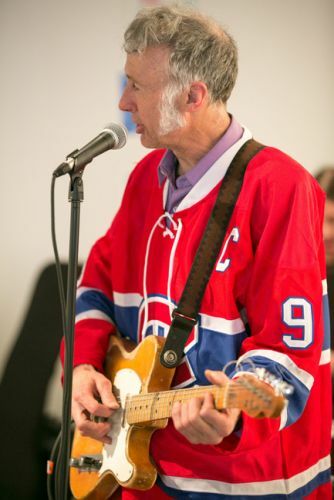 Dave Case on the guitar with The Gully Hubbards at Frogs Are Green's Green Dream - Save the Frogs Day event at The Distillery Gallery in Jersey City. Photo by Danny Chong. 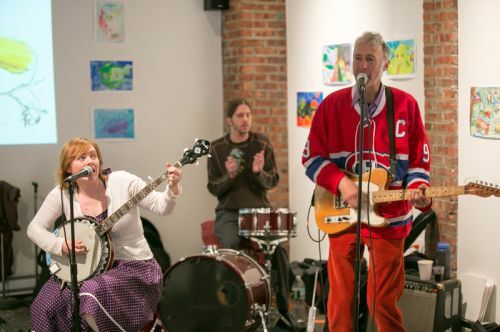 Dave Case with The Gully Hubbards at Frogs Are Green's Green Dream - Save the Frogs Day event at The Distillery Gallery in Jersey City. Photo by Danny Chong. 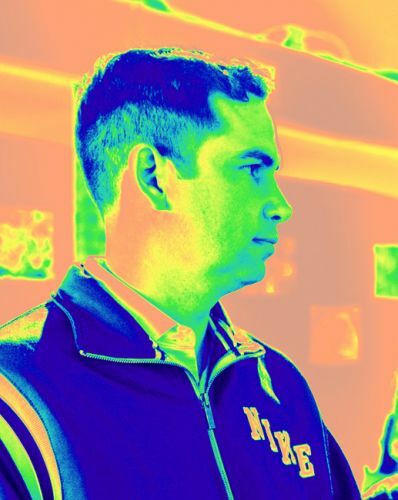 Mayor Steven Fulop portrait at Frogs Are Green's Green Dream - Save The Frogs Day event at The Distillery Gallery. Photo by Danny Chong. 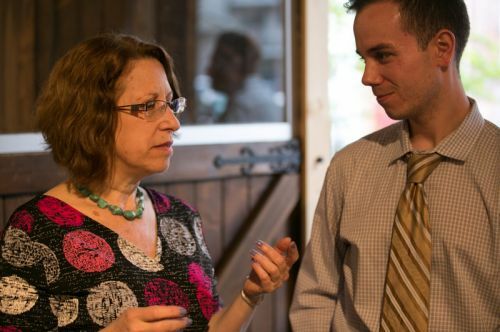 Mayor Steven Fulop and Frogs Are Green founder Susan Newman discuss frog decline and the Green Dream - Save The Frogs Day event at The Distillery Gallery in Jersey City. Photo by Danny Chong. 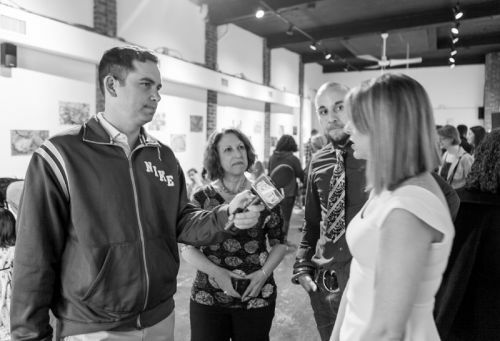 Mayor Steven Fulop discusses the Green Dream Exhibition event at The Distillery Gallery with Susan Newman, Kristin DeAngelis and Gabriel Pacheco. 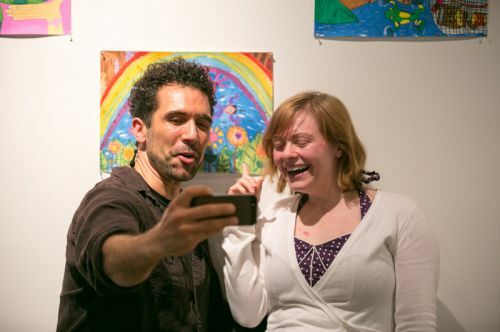 Mayor Steven Fulop and Frogs Are Green founder Susan Newman discuss frog decline, engaging children through art and self-expression and the Green Dream - Save The Frogs Day event at The Distillery Gallery in Jersey City. Photo by Danny Chong. 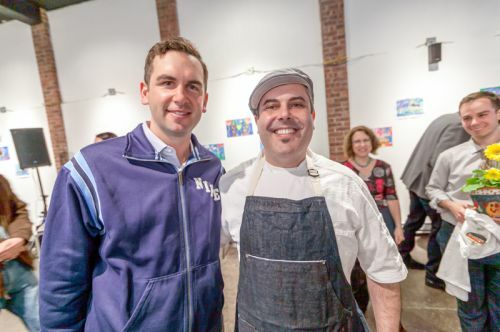 Mayor Steven Fulop of Jersey City and Chef Camillo Sabella at Frogs Are Green's Green Dream - Save the Frogs Day event at The Distillery Gallery. Photo by Danny Chong. 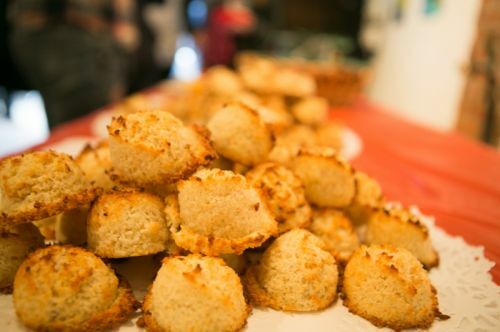 Chef Camillo Sabella's macaroons at Frogs Are Green's Green Dream - Save the Frogs Day event at The Distillery Gallery. Photo by Danny Chong. 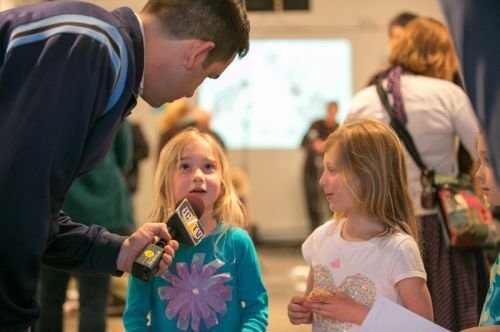 Mayor Fulop interviews children at Frogs Are Green's Green Dream - Save The Frogs Day event at The Distillery Gallery. Photo by Danny Chong. 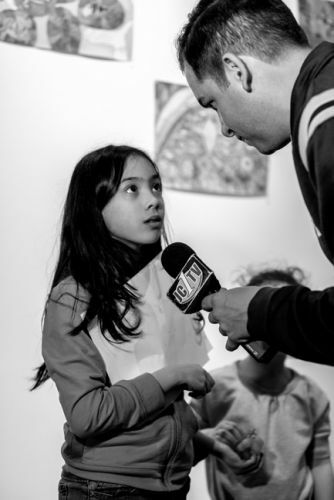 Mayor Fulop interviews one of the children at Frogs Are Green's Green Dream - Save The Frogs Day event at The Distillery Gallery. Photo by Danny Chong. 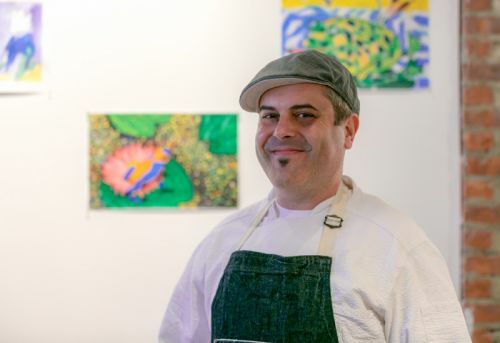 Gabriel Pacheco, curator and teacher of The Distillery Gallery at Frogs Are Green's Green Dream - Save the Frogs Day event in Jersey City. Photo by Danny Chong. 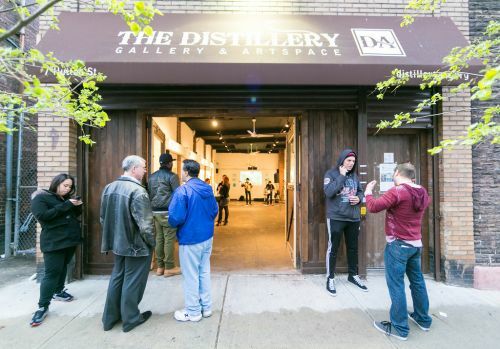 Crowd at The Distillery Gallery for the Green Dream - Save the Frogs Day event in Jersey City. Photo by Danny Chong. Mayor Fulop talks to the crowd about the importance of saving frogs and commends Susan Newman, Krsitin DeAngelis and Gabriel Pacheco with a proclamation for the Green Dream exhibition. 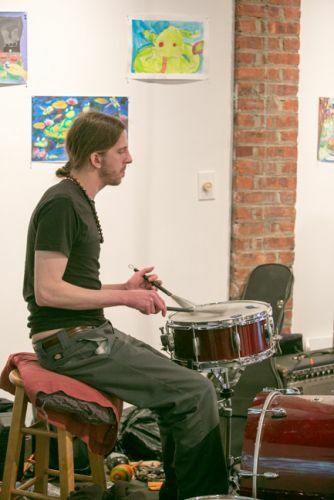 Andy Sapko on the drums for The Gully Hubbards at Green Dream's Save the Frogs Day event. 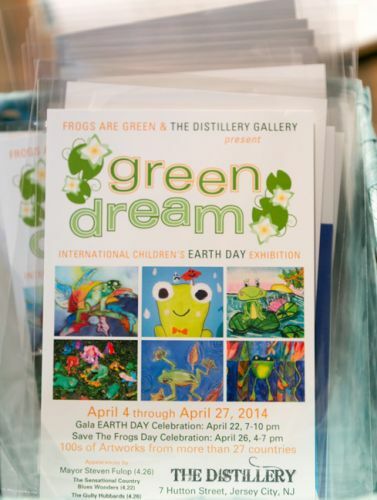 Hosted by Frogs Are Green at The Distillery Gallery. Photo by Danny Chong. 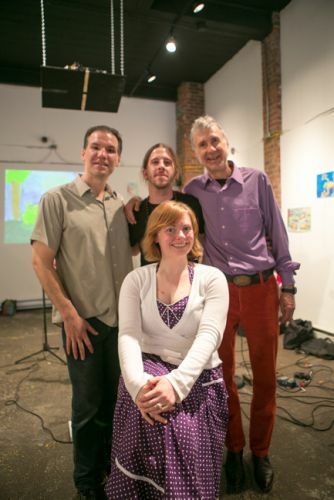 The Gully Hubbards at Green Dream's Save the Frogs Day event. 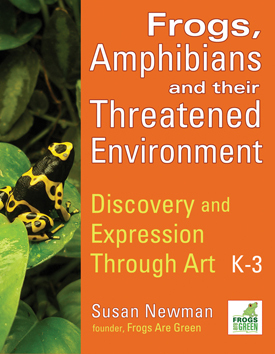 Hosted by Frogs Are Green at The Distillery Gallery. Photo by Danny Chong. 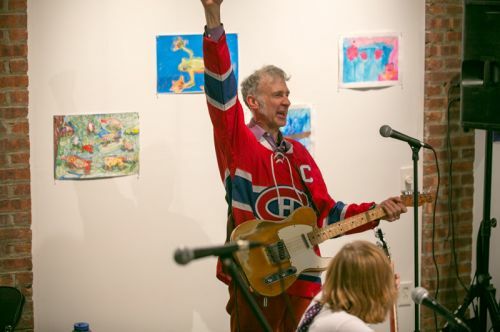 Dave Case of The Gully Hubbards at the Green Dream - Save The Frogs Day event, The Distillery Gallery in Jersey City. Photo by Danny Chong. 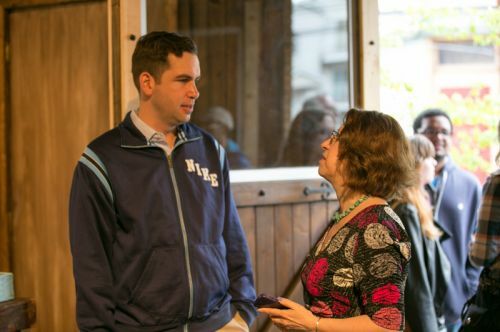 Susan Newman, founder of Frogs Are Green talking with Mayor Fulop's assistant at the Green Dream - Save The Frogs Day event, The Distillery Gallery in Jersey City. Photo by Danny Chong. JC1TV reporter interviews Susan Newman at Frogs Are Green's Green Dream - Save the Frogs Day event at The Distillery Gallery. Photo by Danny Chong. 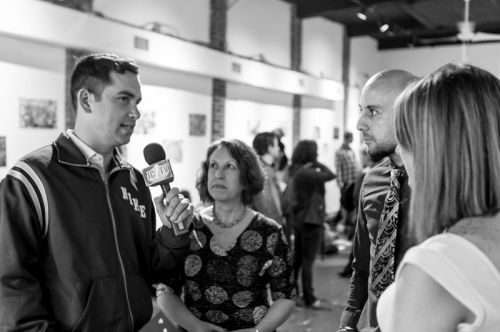 JC1TV reporter films Frogs Are Green's Green Dream - Save the Frogs Day event with Mayor Fulop at The Distillery Gallery. Photo by Danny Chong. 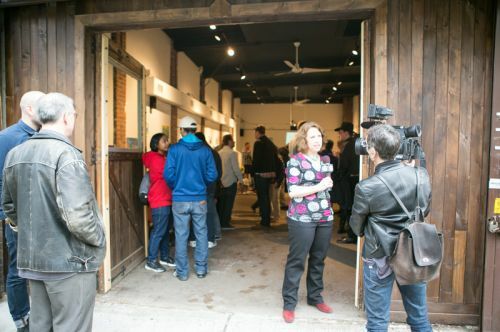 JC1TV reporter films Frogs Are Green's Green Dream - Save the Frogs Day event at The Distillery Gallery. Photo by Danny Chong. 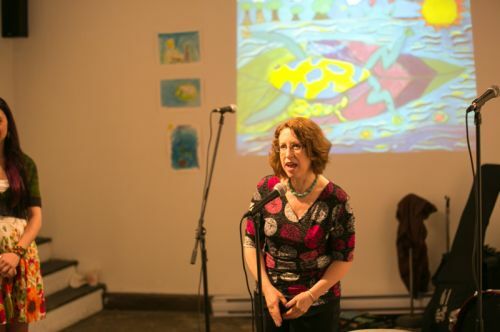 Susan Newman, founder of Frogs Are Green speaking to the crowd at the Green Dream - Save The Frogs Day event, The Distillery Gallery in Jersey City. Photo by Danny Chong. 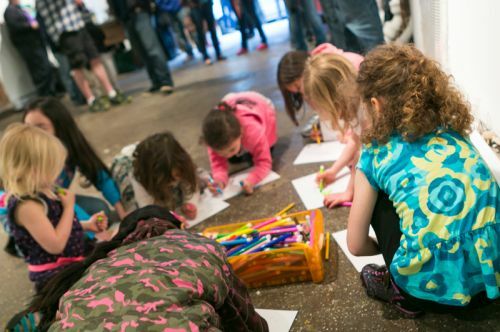 Kids drawing at Frogs Are Green's Green Dream - Save the Frogs Day event at The Distillery Gallery. Photo by Danny Chong. 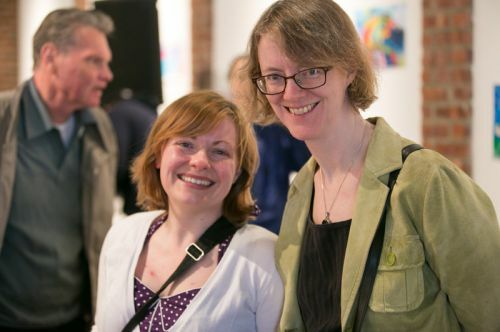 Kris Van Nest and Carolyn Light at Frogs Are Green's Green Dream - Save the Frogs Day event at The Distillery Gallery. Photo by Danny Chong. 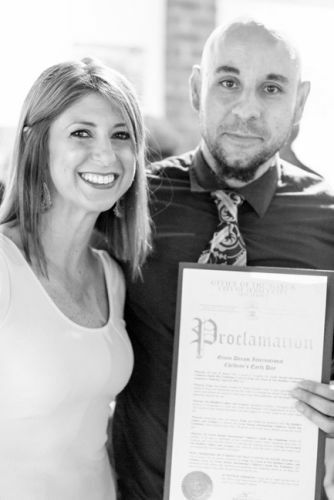 Kristin DeAngelis and Gabriel Pacheco (curators and teachers) show proclamation given by Mayor Steven Fulop at Frogs Are Green's Green Dream - Save the Frogs Day event at The Distillery Gallery. Photo by Danny Chong. 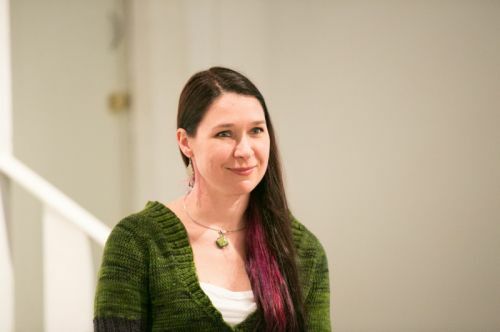 Kristin DeAngelis at Frogs Are Green's Green Dream - Save the Frogs Day event at The Distillery Gallery. Photo by Danny Chong. 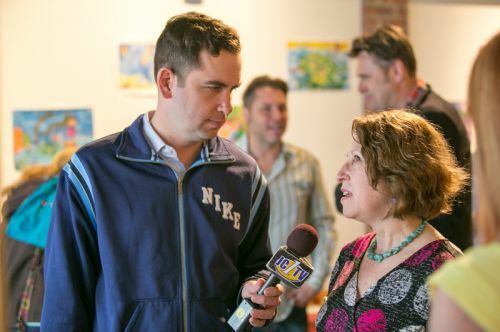 Mayor Steven Fulop interviews Michelle Luebke on frog decline and the environment for JC1TV at Frogs Are Green's Green Dream - Save the Frogs Day event at The Distillery Gallery. Photo by Danny Chong. 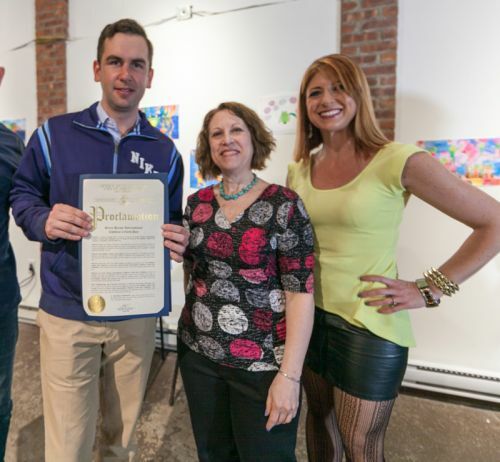 Mayor Steven Fulop, Susan Newman and Kristin DeAngelis with proclamation for Frogs Are Green's Green Dream International Children's Earth Day Exhibition at The Distillery Gallery. Photo by Danny Chong. 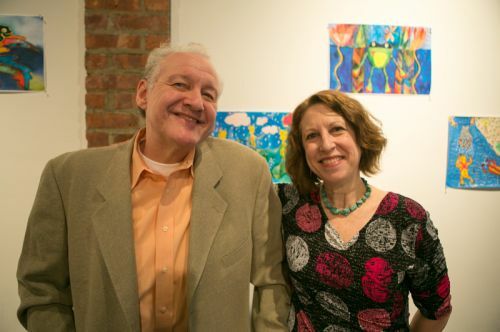 Thomas Tyburski and Susan Newman at the Green Dream - Save The Frogs Day event, The Distillery Gallery in Jersey City. Photo by Danny Chong. 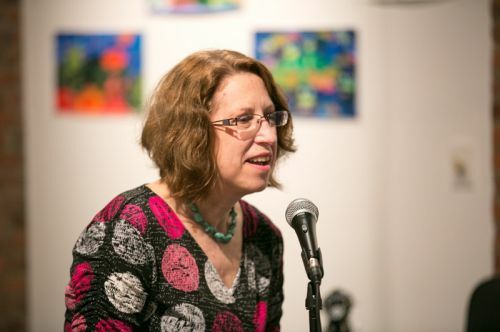 Susan Newman, founder of Frogs Are Green at the Green Dream - Save The Frogs Day event, The Distillery Gallery in Jersey City. Photo by Danny Chong. 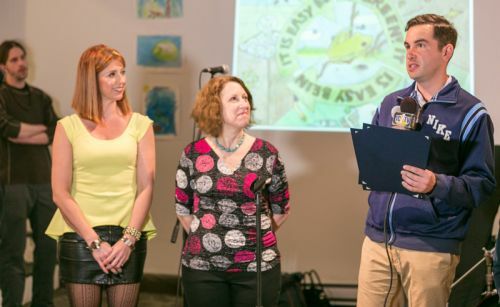 Proudly accepting our proclamation from Mayor Steven Fulop is Gabriel Pacheco, Susan Newman and Kristin DeAngelis at Frogs Are Green's Green Dream - Save The Frogs Day event at The Distillery Gallery in Jersey City. Photo by Danny Chong. 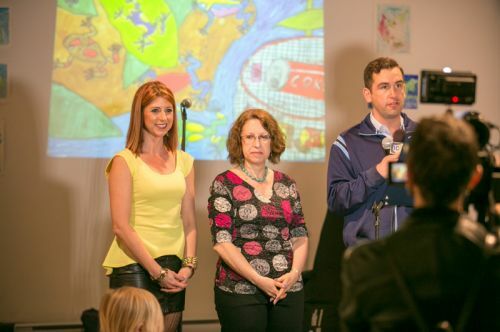 Gabriel Pacheco, Mayor Steven Fulop, Susan Newman and Kristin DeAngelis at Frogs Are Green's Green Dream - Save The Frogs Day event at The Distillery Gallery in Jersey City. Photo by Danny Chong. 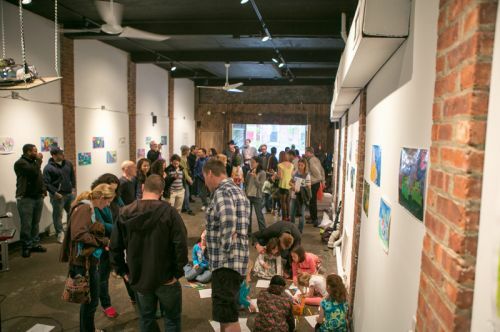 Mayor Steven Fulop discusses engaging children through art and self-expression at the Green Dream - Save The Frogs Day event, The Distillery Gallery in Jersey City. Photo by Danny Chong. 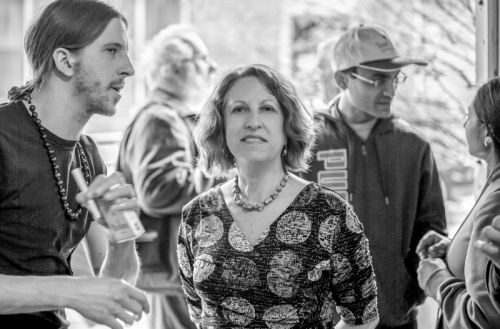 Carolyn Light of The Gully Hubbards and a friend at Green Dream's Save the Frogs Day event in Jersey City - Photo by Danny Chong. 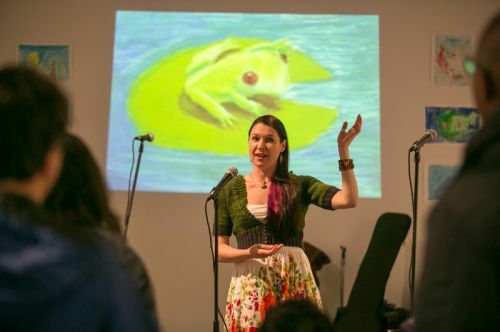 Michelle Luebke, environmentalist and instructor at CUNY, guest speaker, talking about frogs at the Green Dream - Save The Frogs Day event, The Distillery Gallery in Jersey City. Photo by Danny Chong. 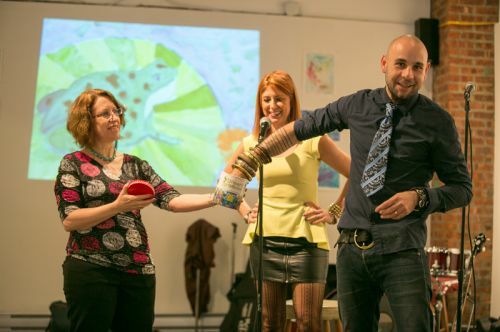 Selecting the raffle contest winner at the Green Dream - Save The Frogs Day event, The Distillery Gallery in Jersey City. 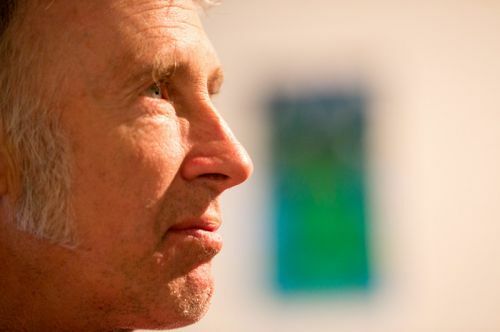 One child won free Saturday morning art classes for a year! Photo by Danny Chong. 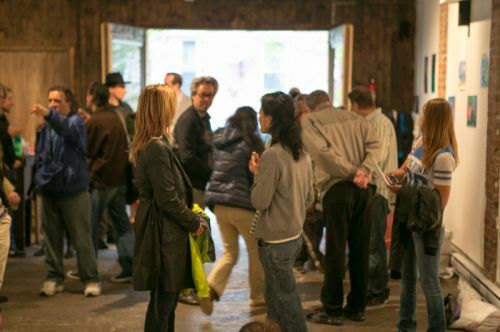 Crowd at the Green Dream - Save The Frogs Day event, The Distillery Gallery in Jersey City. Photo by Danny Chong. 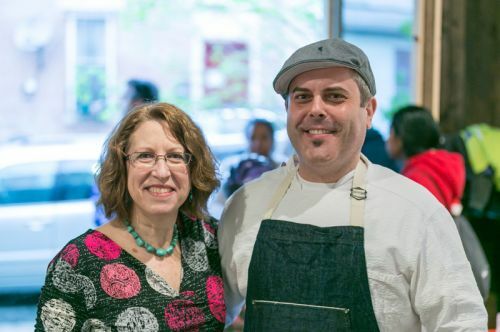 Susan Newman, founder of Frogs Are Green with Chef Camillo Sabella at the Green Dream - Save The Frogs Day event, The Distillery Gallery in Jersey City. Photo by Danny Chong. 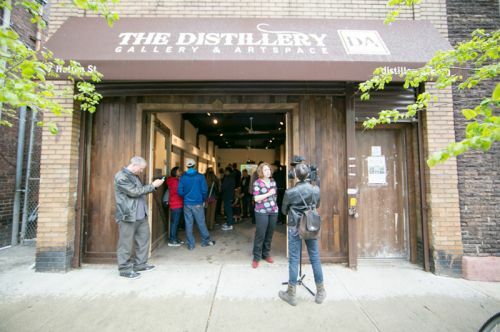 The Distillery Gallery and Artspace in Jersey City. Photo by Danny Chong. 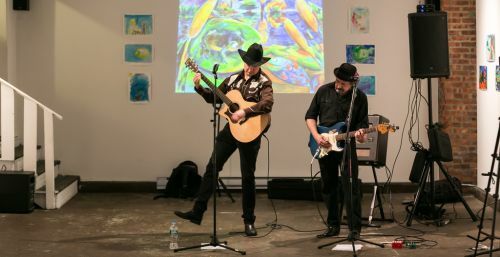 Gary Van Miert and Malcolm Marsden of The Sensational Country Blues Wonders play at The Distillery Gallery for Green Dream opening gala. Photo by Danny Chong. 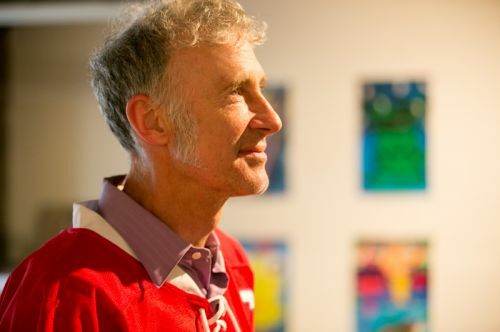 Sensational Country Blues Wonders, Gary Van Miert and Malcolm Marsden at the Green Dream Exhibition opening on Earth Day. Photo by Danny Chong. 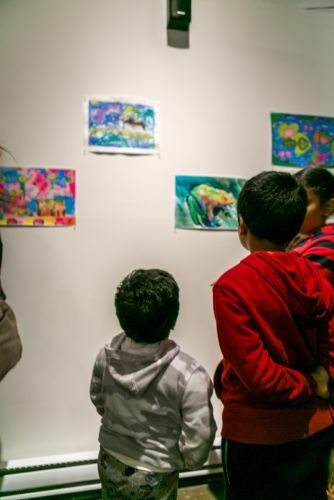 Children admiring the frog art at the Green Dream exhibition in Jersey City on Earth Day. Photo by Danny Chong. 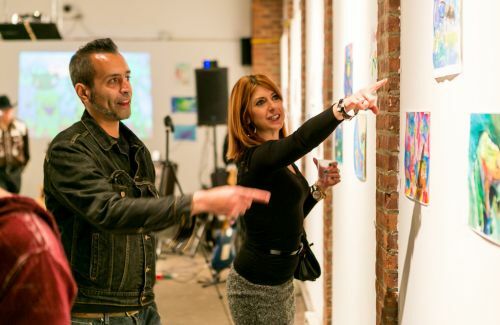 Kristin DeAngelis talks about frog art during the Green Dream opening at The Distillery Gallery in Jersey City. Photo by Danny Chong. Green Dream marketing materials and the Raffle area. 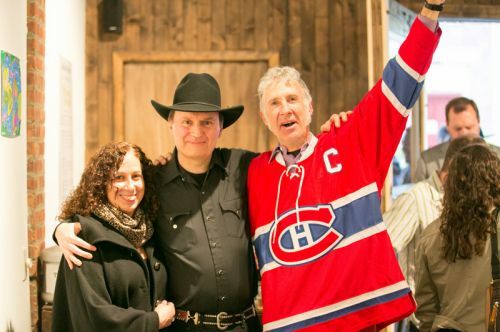 Drawing was 4.26 and someone won for one child to receive free art classes for a year at the Distillery Gallery!